With this simple basal metabolic rate calculator, you can find out how much energy you're using. Which is useful if you want to lose weight, gain weight, or just stay weighing the same. Click here to go straight to the basal metabolic rate calculator! What Is Your Base Metabolic Rate? Your base metabolic rate (BMR) is a skilled estimation of how many calories you use regularly. It's similar to your resting metabolic rate (RMR), a skilled estimation of how many calories you use when you are, not surprising, at rest. I say skilled estimation because we use an equation to calculate basal metabolic rate. Your base metabolic rate may be high if you're really active, or lower if you spend most of your time reading and typing. But it is vitalinformation if you're trying to lose weight - or gain it, for that matter. Simply undercut your current calorie intake. If you want to lose about a pound a week, undercut your current calorie intake by about 500 calories a day, through diet (preferably) or exercise. This will have you at a caloric deficit of about 3,500 calories a week - which will burn off 1 pound of fat. Eat more. Increase your calorie intake substantially. If you eat an additional 3,500 calories per week (preferably not all at once) you can put on about a pound of bodyweight. Whether it's fat or muscle will depend on whether or not you're lifting weights and how good you are genetically at putting on muscle rather than fat. What Percent Less Calories Should I Eat? Use the basal metabolic rate calculator below to calculate how many calories you are using, and reduce that by what 15, 20, 25, or even 30%. The calculator can compute that for you as well. Don't cut your calorie intake by more than 30%. 20-25% is much more reasonable and healthy. Be losing weight in a healthy manner. Is Losing Weight Just Simple Mathematics?!?!??!? Eating healthy is important as well, which will not only help you lose weight now but also help you keep the weight off in the future. This is a separate topic, but in a nutshell healthy eating (lots of leafy green things, fresh meats and fruits, few refined sugars, etc.) makes it more difficult to eat to excess and have sugar and insulin spikes - and thus put on weight. More difficult, but not impossible. Creating a calorie deficit will make your body look for other sources of energy. Intermittent weight training, once or twice a week, will keep your muscles strong and tell your body that muscle should not be used for energy - fat should. And eating healthy regulates your body so that it doesn't put on fat very easily - either during your diet or afterward. If you're more active, you need more energy. If you're less active, you need less. Here's how much your metabolic rate is affected by being active, and how active each level is. The numbers refer to what your base metabolic rate is multiplied by to get the expected caloric consumption at that level of activity. Upto an hour of intense weight lifting, of 2 -3 hours of jogging/light cardio. 2 -3 hours a week of intense weight training or sprinting, or around 7 hours of jogging or light cardio. About 5 - 6 hours a week of heavy, intense lifting or exercise; about 10 - 12 hours of jogging. More than heavy lifting. At least 8 - 10 hours of intense training, and probably more. You're an Olympic athlete, habitual marathon runner, or Ironman Triathalon Competitor. I use the Mifflin-St. Jeor equation for the basal metabolic rate calculator because it's a very accurate equation, and slightly better than the more widely used Harris-Benedict equation. It's also the 'officially' most accurate one according to the American College of Sports Medicine. Harris and Benedict's equations were formulated for use on hospital patients back in 1919. The equations are old and generally accurate - though many others have been conceived since then. In 2005, a review was done of the 4 most prevalent equations (Harris-Benedict, Mifflin-St. Jeor, Owen, and WHO/FAU/UNU). It concluded that Mifflin-St. Jeor was the most accurate for obese and non-obese Caucasian adults. Thus, I use the most accurate one for this site. Unfortunately, there haven't been enough studies done on the exact metabolic nuances of non-Caucasions to come up with different equations for non-Caucasions. But for functional weight loss outside the lab, I'm sure that the Mifflin-St. Jeor equation in the above basal metabolic rate calculator will work just fine. For obese individuals, Mifflin St. Joer has a slight tendency tounderestimate caloric intake - which should be fine if you're trying to lose weight. 20 fewer calories a day won't really matter here or there. For endurance athletes, the Cunningham equation is slightly more accurate. But if you're an endurance athlete, I'm guessing that you don't need to lose weight. And you need an accurate body composition test, such as the hydrostatic weighing test, to use the Cunningham equation. Do-able, but a bit inconvenient. All in all, the basal metabolic rate calculator above (using the Mifflin-St. Jeor equation) is perfectly fine for calculating your metabolic rate. It'll tell you very precisely how many calories to eat - or to cut back on. 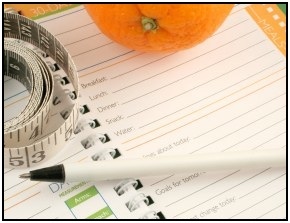 • Click here to leave 'A Simple Basal Metabolic Rate Calculator' & go back to the Home-page! 1. Manore, Melinda, Nanna L. Meyer, and Janice Thompson. 2009. Sport Nutrition For Health And Performance. Champaign, IL: Human Kinetics. Pp. 512. 2. Dunford, Marie, and J. Andrew Doyle. 2008. Nutrition For Sport And Exercise. Belmont, CA: Thomson Wadsworth. Pp. 49.